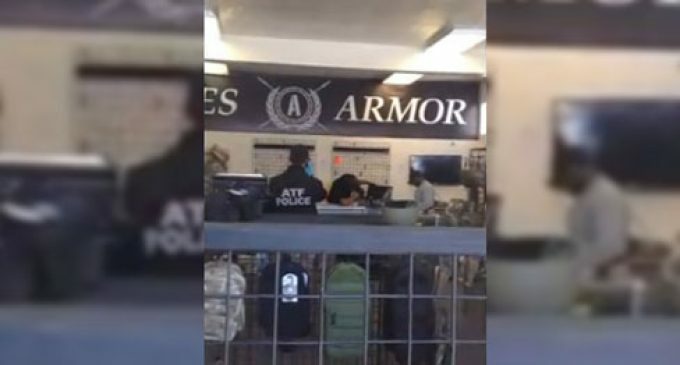 If you have been a customer of Ares Armor, be advised the COO of the company announced via Instagram that the ATF is executing search warrants at all of their locations (see video below). On March 12th Fox5SanDiego reported that store owner Dimitrios Karras successfully warded off a federal raid by the Bureau of Alcohol, Tobacco, and Firearms at one of Ares’ locations. The ATF demanded the names of 5,000 customers who have purchased a particular gun part, known as and 80% lower receiver. Karras filed a restraining order, blocking the ATF, but apparently according to Karras’ notification to his customers and as seen in this video, the agency returned Saturday, March 15th to raid all locations. Hard to believe this could happen in America. this is where some federal heads should roll, every one involved in this should be fired and sent to jail. DID AMERICA MOVE???? This is outrageous!!! So ISIS has threatened to make a blood bath of America, and our loser in cheif has decided to disarm the citizens. A reasonable leader would arm his citizens against its enemies. We need to vote for a new leader, who understands that the people are the first and last line of defence.